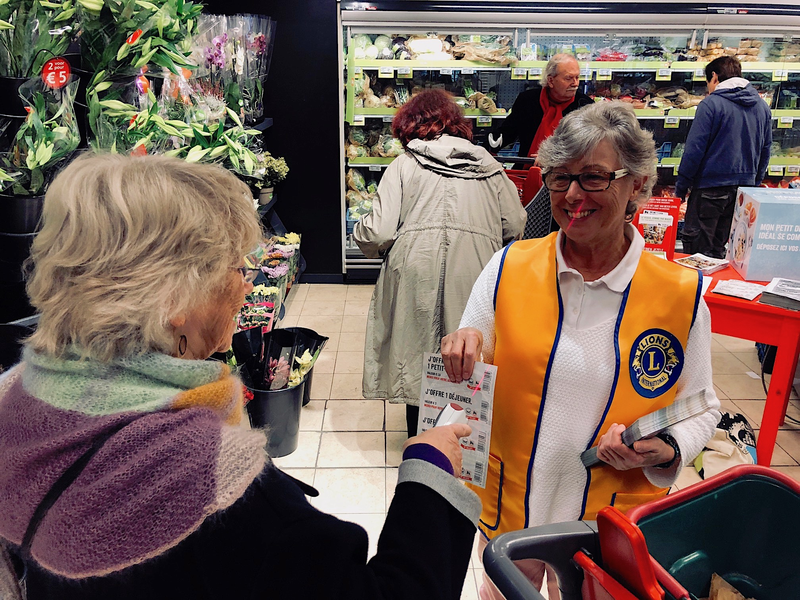 Here’s how it’s done, with fellow Lions Club Aurore member in Delhaize Fort Jaco. Simply scan the amount you wish to give from a list and then continue your shopping. Easy, and Lions can help raise up to € 15,000 in several days. 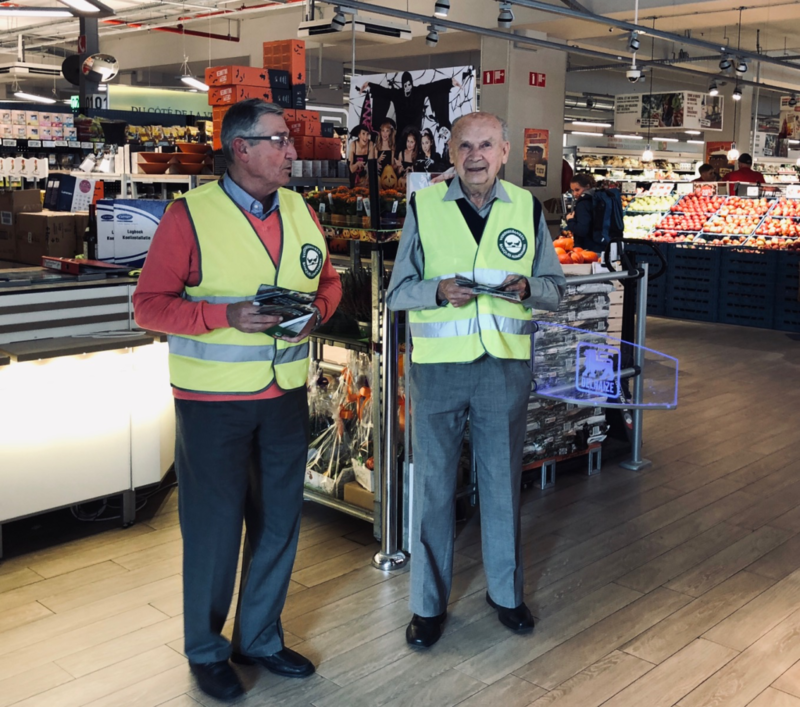 Did you know that the Banque Alimentaire in Belgium distributes some 5000 tonnes of food for the hungry every year on ? It’s a great project for Lions and other service clubs and doesn’t take up so much of our time. 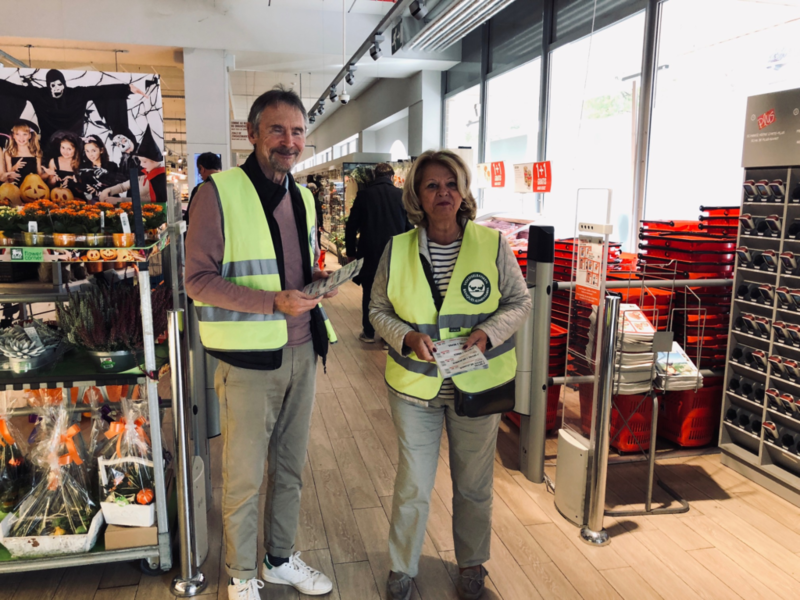 Lion Terry Davidson and Super saleswomen Lion Françoise Rouer at work in Delhaize Chazal which is the biggest supermarket in Belgium where the shoppers are so international and look forward to seeing us Lions every year. This year President Marc de Meester (below) hones his sales skills and reached out to receptive shoppers.